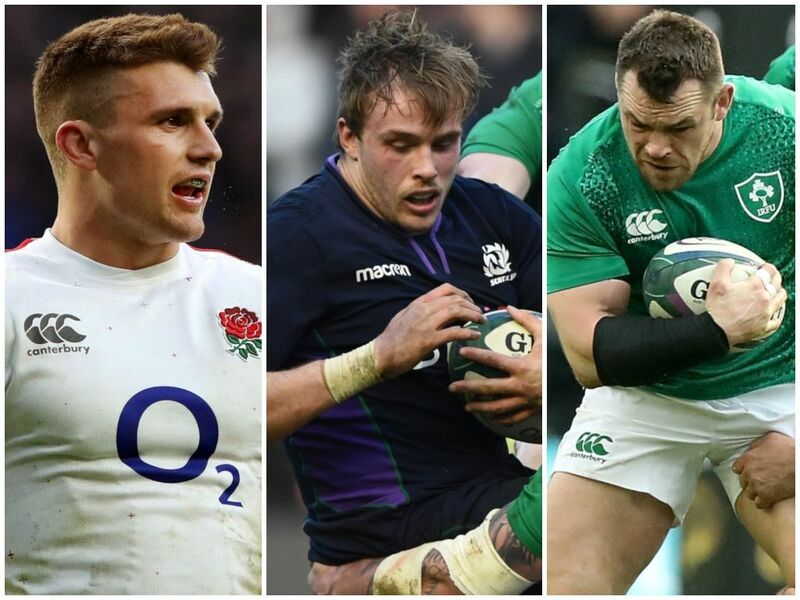 With the dust having now settled on Round Two of this year’s Six Nations, we take a look back over the three games to select our Team of the Week. England once again lead the way with seven contributions after a dominant victory over France while an improved Ireland are next best with four. 15 Rob Kearney (Ireland): Showed what Joe Schmidt’s men were missing with a composed display at full-back. Was positionally sound, good under the high ball and threatened in attack after the break. England’s Elliot Daly continues to improve and is starting to look assured at the back but Kearney takes his place in the XV and must surely keep his spot for the rest of the Six Nations. 14 Jacob Stockdale (Ireland): Few right wings impressed at the weekend so we have moved the Irishman over after a couple of game-defining interventions. While the Emerald Isle aren’t necessarily playing well enough to get the best out of their back three, Stockdale still has the uncanny ability to create and score. His first crucial moment came in the first try as his chip over the top was not dealt with by Tommy Seymour, allowing Conor Murray to finish, before Stockdale was the recipient of a well-worked attack. His decision-making and pace allowed him to break through and touch down, opening up a 12-3 lead at the time. 13 Henry Slade (England): Another classy performance from the Exeter Chief following a breakthrough display against Ireland last week. Slade is starting to settle into the outside centre role for the Red Rose after an inconsistent opening to his Test career and he was in fine form at Twickenham on Sunday. Scored one with a lovely step off his left foot before setting up the penalty try with an intercept and kick ahead. Missed a tackle for France’s try, although he was left rather isolated, but was otherwise solid in defence once again. 12 Sam Johnson (Scotland): A smart footballer who already looks at home at Test level after intelligently following up Finn Russell’s break for Scotland’s only try. Tends to make the right decision whether in attack or defence, having made seven tackles without missing any. It was therefore a shame that the Scottish forwards failed to really garner enough ball in the second period for Johnson and co. to truly thrive but he was the best inside centre, despite a good showing from Wales’ Owen Watkins. 11 Jonny May (England): In the form of his life at the moment after touching down three times against France. He’s always had the athleticism and he is duly putting that to good use, but it is the Leicester wing’s decision-making and high ball skills which have improved considerably, while it is also worth remembering that May has had to battle back from a nasty ACL injury. It altogether rather showed up Jacques Brunel’s thinking as it takes more than a good runner to play on the wing at Test level, with Damian Penaud particularly exposed in defence. 10 Owen Farrell (England): Another masterclass in leadership and fly-half play from the England captain, who has grabbed the extra responsibility in the absence of co-captain Dylan Hartley with both hands this month. Wales pivot Dan Biggar was next in line here while Scotland’s Finn Russell showed flashes of quality on Saturday, but it was Farrell way out on his own here as he turned the screw against France. 9 Antoine Dupont (France): That was some impact off the bench from Dupont as he sparked as good a revival as he could muster at Twickenham. Handling errors aplenty limited what he could do in terms of putting points on the board but in another game – possibly with other team-mates from rival sides – he would have laid on several tries. Coming up just behind in our scrum-half battle was Ireland’s Conor Murray, Aled Davies of Wales and England’s Ben Youngs, who has returned to top form in the opening two Six Nations games. 8 Josh Navidi (Wales): Billy Vunipola continued his comeback from injury with another solid outing for England against France, but we go for man-of-the-match in Rome, Navidi. The Cardiff Blues back-row has now firmly established himself as a vital member of this Welsh squad as they approach the Rugby World Cup, with his versatility one of many attributes he possesses. A Swiss Army knife of a back-row. 7 Tom Curry (England): He is fast becoming one of the first names on the England teamsheet. Curry was again a real defensive linchpin for Eddie Jones’ side as he got stuck into France from the outset. Not the most frequent of carriers but it’s what he does without the ball that impresses as he gets our seven shirt ahead of Italy openside Braam Steyn, who gave another decent account of himself. 6 Mark Wilson (England): The man-of-the-match at Murrayfield was Ireland flanker Peter O’Mahony but there was a Falcon impressing at Twickenham 24 hours later who took this shirt from his grasp. Wilson was a rock for England as his physicality knocked France backwards. He finished with 20 tackles and further built on his reputation on the Test stage. Aaron Wainwright (Wales) also earns a mention. 5 Jonny Gray (Scotland): Returned to Scotland’s squad after missing their opener against Italy and, although his side finished on the losing side against the defending champions, the Glasgow Warrior can be happy with his performance. Was good in the line-outs and, as usual, he was at the forefront of his team’s defensive efforts and finished with 24 tackles made. 4 Courtney Lawes (England): Came into the England squad as a replacement for the injured Maro Itoje and caught the eye with a workmanlike display at the coalface of his side’s forward effort. Lawes was solid with ball in hand, gaining 20 metres from 10 carries with three defenders beaten. He also did well on defence and eventually made 15 tackles, with the hit on Mathieu Bastareaud standing out. 3 Tadhg Furlong (Ireland): After delivering an underwhelming performance – by his lofty standards – against England the previous week, the Leinsterman was back to his best as his side bounced back with a win against Scotland at Murrayfield. Furlong got the better of his duel with Allan Dell in the scrums but was also a willing ball carrier and made his presence felt on defence with nine hits. 2 Jamie George (England): The injury to Dylan Hartley ahead of the tournament has not been felt by England as George has grabbed his opportunity and shone in the number two jersey. Makes our team for the second week in a row after a brilliant performance in his side’s demolition of France at Twickenham. George impressed with his core duties, ran hard and also defended strongly with 11 hits. 1 Cian Healy (Ireland): The veteran front-row was in fine form at Murrayfield and put in an excellent all-round display during a 57-minute shift. Healy was solid in the scrums and came to the fore with some strong carries at close quarters but made his biggest impact on defence, finishing with 12 tackles made.